Almost a decade ago, Leonardo DiCaprio narrated and produced The 11th Hour, which covered the same ground as this documentary. The United Nations designated DiCaprio a "UN Messenger of Peace" in 2014 and tasked him with getting the word out on Climate Change. That is just what he does. Here is a heartfelt, decent and educational documentary about the most important issue of our time: Climate Change. 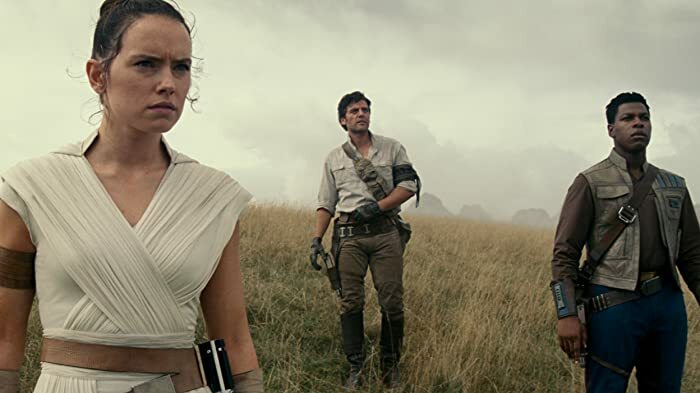 Filmmakers are intelligent in their use of the biggest asset they have: not only do they keep their movie star on screen, they work hard to tie viewers concern for the environment up with his biography. Leonardo DiCaprio proves his own commitment to the cause; conceding that his own celebrity status draws attention to the topic, but allows the naysayers to say that he is a shallow movie star and therefore this whole issue must be a joke. Though, I have to admit that I was a bit disappointed that the movie lacks such personality. The film does have the unique access to a DiCaprio that is not on the set of a fictional project or in an awards ceremony tux, but he adds nothing aside from his name and face. 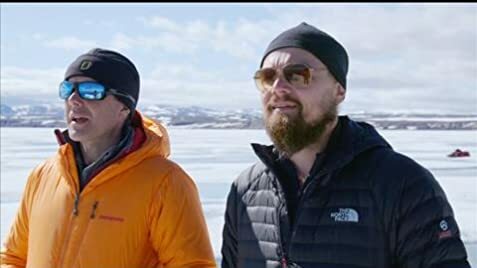 Correctly identifying the most important issue of our time, DiCaprio uses his authority and charisma to travel the world and highlight men impact on our planet. Indeed, he travels the globe examining our fossil-fuel addiction. Where the film succeeds the most is by focusing on the ground-level victims of climate change, such as the polar bears of the Arctic for instance. Of course, the documentary is enforcing the 2015 Paris agreement, in order to develop the wind and solar power. So many climate documentaries have passed through cinemas and aired on TV, it's impossible to believe that lack of information is the obstacle to change in public policy. This documentary seems important to me as a shift in public opinion has to be achieved to change the political classes opinion. Finally, Before the Flood foes have one marvellous scene that its contemporaries won't have. Former Astronaut Dr. Piers Sellers sits down with DiCaprio in a dark room that is illuminated by a graphic of planet Earth and talks about how his experience in Space helped him understand the massiveness and beauty of the world. He highlights that if we can all see our presence in the world on a much larger scale than what is in front of us, we might be able to change our way of life before it is too late. Overall, Before the Flood is a serious, substantial and very important piece of work. Leonardo DiCaprio, who is a committed environmentalist, was designated in 2014 as UN messenger of Peace with special focus on Climate Change by UN president Ki-moon Ban.